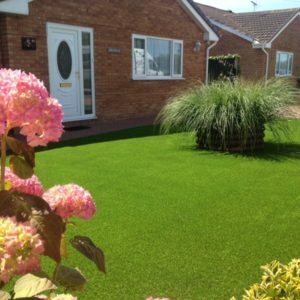 Hi-Tech Turf Ltd have been transforming lawns since 2007 and we pride ourselves on providing a competitive, efficient and top quality service to all our customers. Whether you are purchasing 2m or 2000m you will receive the best service from our team. Our range of turfs are perfect for transforming front and back lawns, covering tired patios or slippery decking and are ideal for creating green spaces in small or difficult access areas such as balconies, terraces or city gardens. All our turfs are safe for children and pets and an artificial grass installation will provide you with a surface that can be used whatever the weather with no mud or mess. 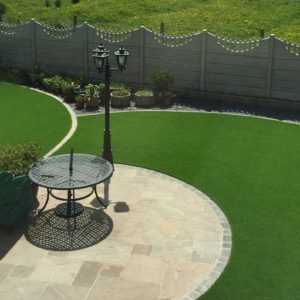 We only supply and install high quality grasses and we have built an excellent reputation as a result. Artificial grasses are developing every day and this enables us to adapt our range from time to time to ensure we are offering the best grasses available on the market at competitive prices. You can install your new lawn yourself or if you choose us to install your new artificial lawn, our team will be on hand every step of the way to answer any questions or solve any problems you may have. You will have a consistent point of contact throughout the whole installation process. We have professional installation teams covering the whole of the UK. For more information on installation please do not hesitate to contact us.